This was after the team at SERVPRO found water and mold damage and used cleaning techniques and equipment to clean the area professionally. The team is ready to respond anytime 24/7 for your restoration emergency. SERVPRO of Central Ft. Myers responded to find mold damage on drywall and studs after a tear out from a water loss. They immediately begin mold remediation. Contact us today for your Restoration job. After a pipe break behind the wall the drywall and flooring suffered from damage. SERVPRO responded and quickly began water mitigation. The drywall was removed, repaired the pipe and began drying and prepping for new drywall. 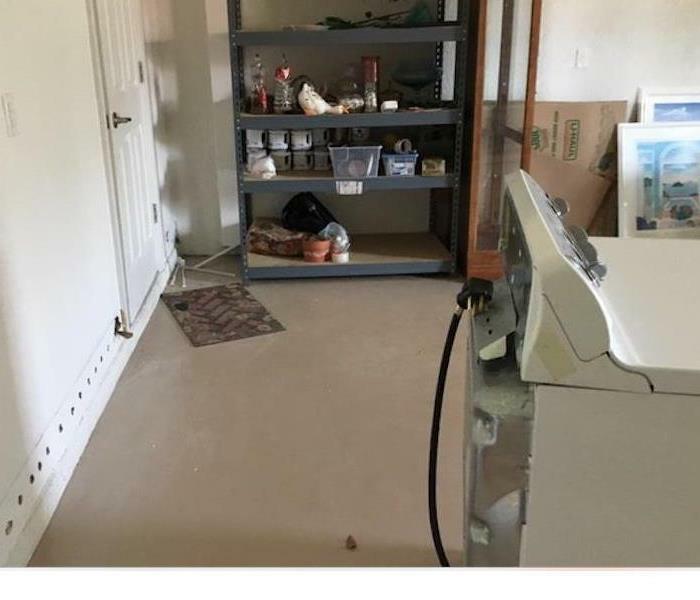 This laundry room suffered from a water loss after a washer leak. There was a significant amount of water in the floor leading down the hall. SERVPRO responded and began mitigation procedures. After significant water damage to the floor, SERVPRO responded and quickly began clean up procedures. They arrived immediately to access and clean after the leak. They removed baseboards to dry behind the walls to prevent from further damage. This garage suffered from water damage after a pipe break. 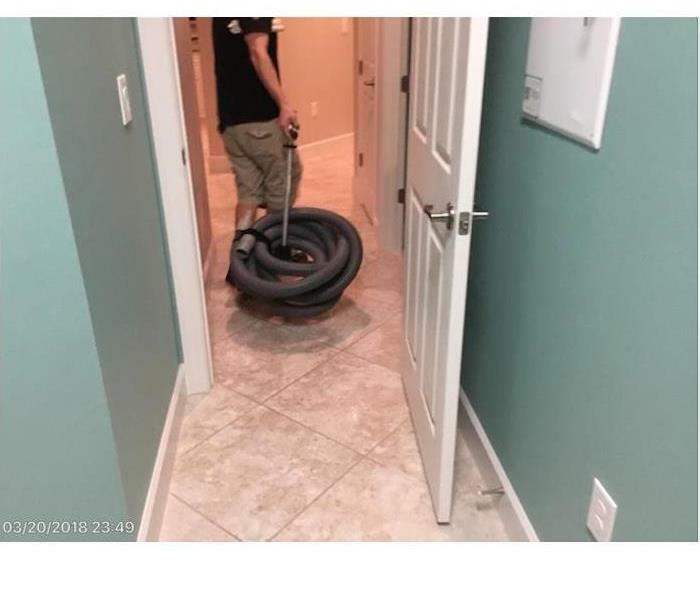 There was significant amount of water in the floor. SERVPRO responded and immediately began mitigation. 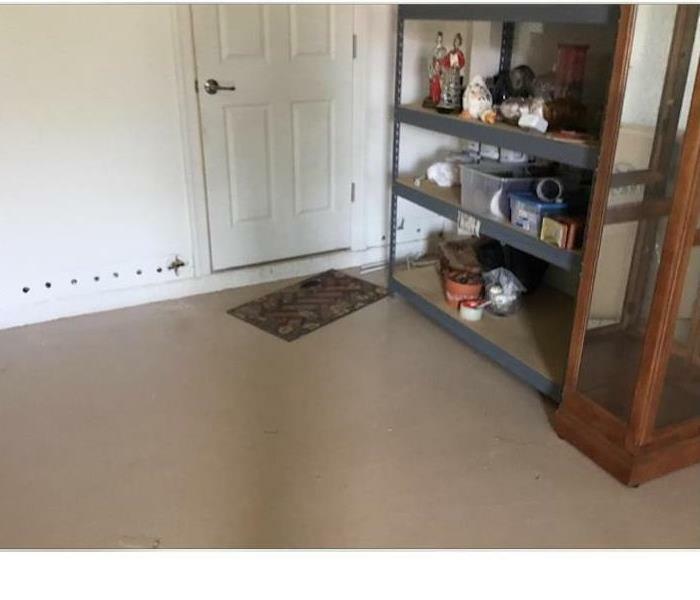 They used air movers to dry the floor to prevent future damages. This home had a massive amount of water damage though the roof, causing the ceiling to collapse. SERVPRO of Central Ft. Myers was able to cleanup and restore the property back to pre loss condition. 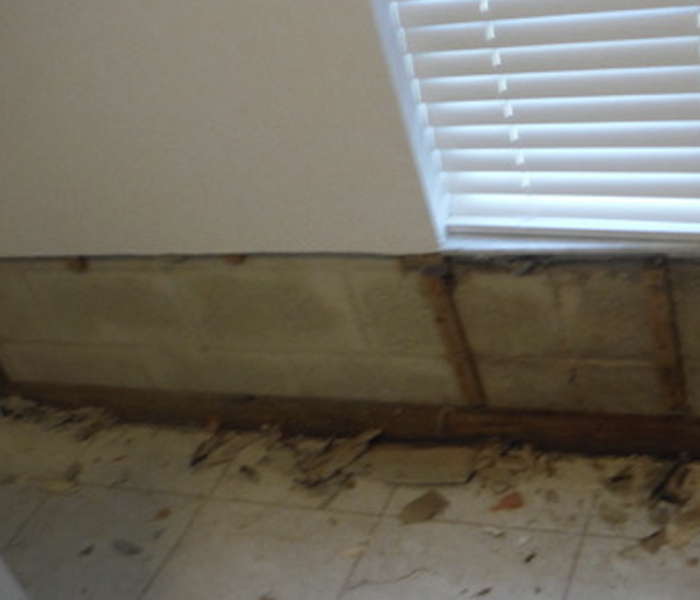 This home had a mold infestation caused by flood waters entering a home. 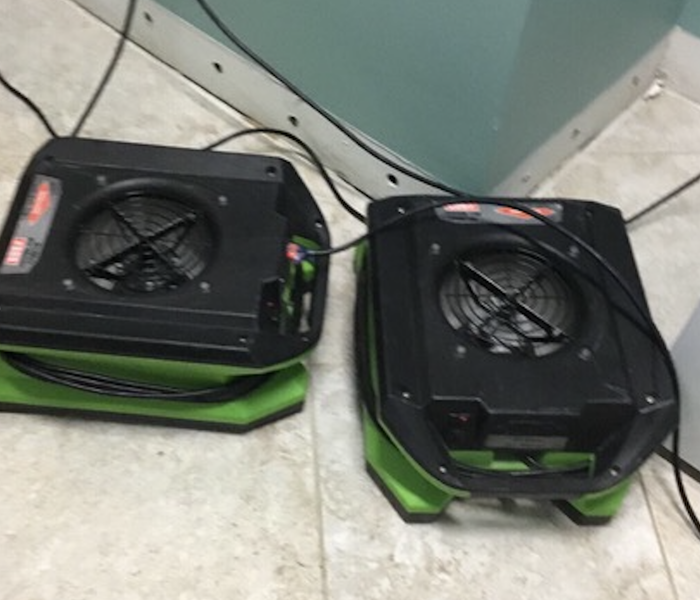 SERVPRO of Central Ft. Myers was able to get on site and begin to remediate the situation. If you have any questions, feel free to reach out at anytime. 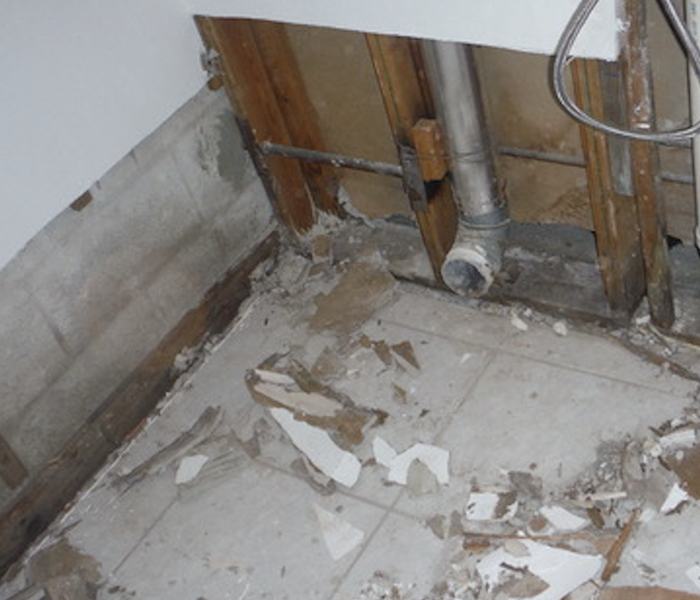 A storm in Ft. Myers caused a massive mold situation in this homes bathroom. 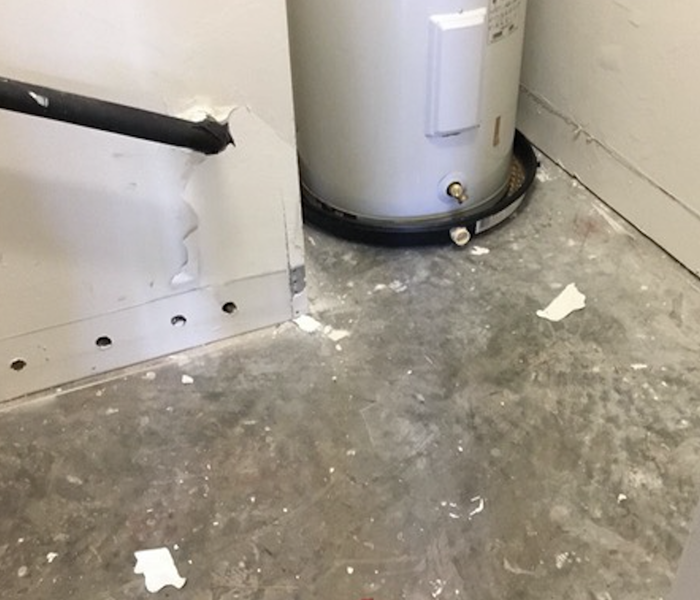 SERVPRO of Central Ft. Myers was quick to respond and begin the remediation process. They were able to handle the job from start to finish. This bathroom had massive water damage and SERVPRO of Central Ft. Myers was able to clean from start to finish. After the cleaning our team was able to put the walls back together. If you have any questions, feel free to reach out to us at anytime. This home had massive rushing waters and SERVPRO of Central Ft. Myers was able to get on site quickly. If you have any questions about the storm cleanup process, feel free to contact us at anytime. 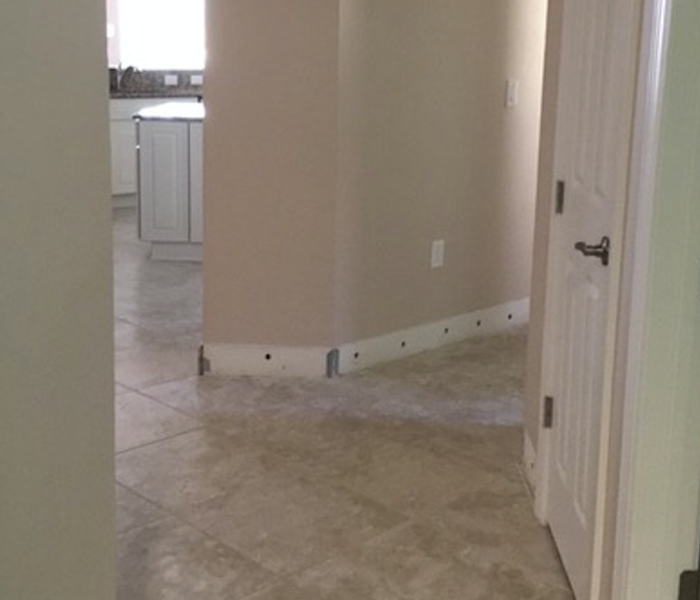 This home was severely flooded and SERVPRO of Central Ft. Myers was able to fully restore back to pre loss conditions. Our team was quick to respond and begin the cleanup process. If you have any questions about the water damage restoration process, feel free to contact us at anytime. This facility had a mold issue and SERVPRO of Central Ft. Myers was able to come in and quickly get the situation under control. Our team set up the proper containment to make sure that the issue was contained. If your complex has fire damage, SERVPRO of Central Ft. Myers is here to help! We have teams available 24/7 to help you in your time of need. Let us know if you have any questions. This apartment had a massive fire and the walls had to be cleaned down to the studs. 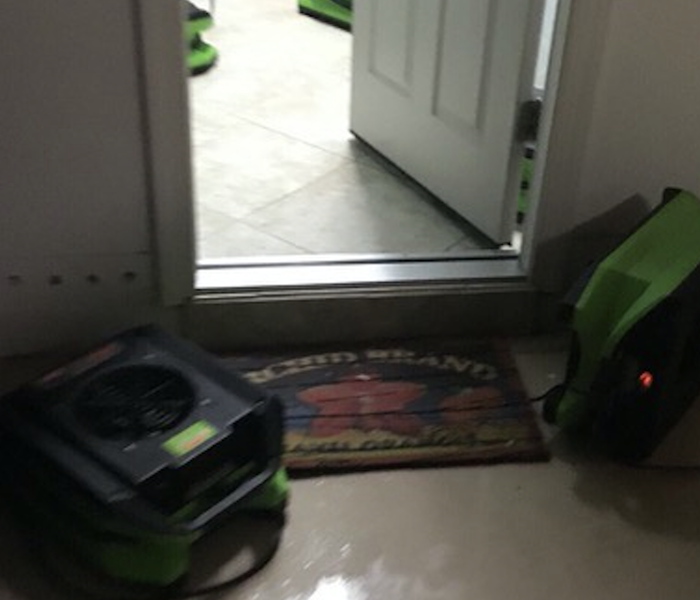 SERVPRO of Central Ft. Myers was quick to respond and begin the mitigation process. If you have any questions, please reach out to us at anytime. This apartment building had a massive fire. SERVPRO of Central Ft. Myers was called to clean up and start the rebuilding process. If you have any questions about the fire cleanup restoration process, feel free to reach out to us at anytime. This apartment had a massive fire loss. 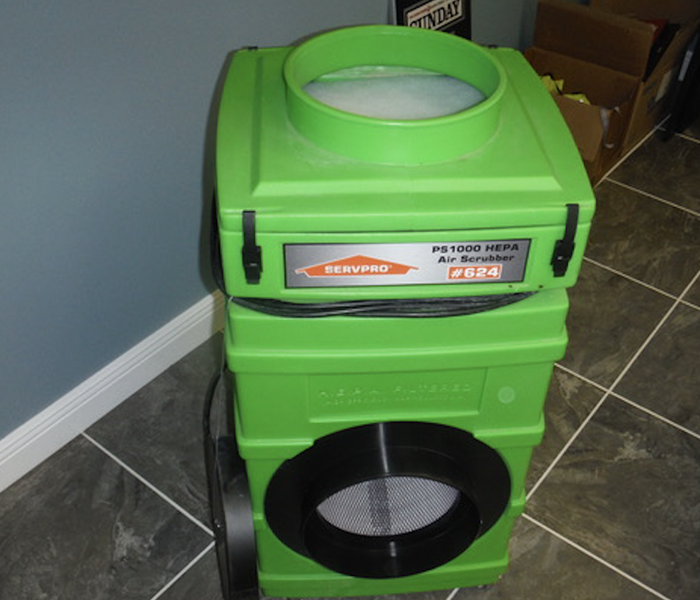 SERVPRO of Central Ft. Myers was called to begin the cleaning process. If you have any questions about the fire damage cleanup process, feel free to reach out to us at anytime. This apartment had a fire loss and SERVPRO of Central Ft. Myers was called to help clean up the building. If you have any questions about our commercial services, feel free to reach out at anytime. If you have a fire loss in your Ft. Myers home, SERVPRO of Central Ft. Myers is here to help 24/7. It is critical that you have the work done quickly to prevent secondary damages from occurring. What is the process of cleaning up after a fire? If you have a fire in your home it is important to get the cleanup team at SERVPRO of Central Ft. Myers on site immediately. Once on site, they can begin the cleaning process to make sure everything is taken care of. If you have a fire in your home, SERVPRO of Central Ft. Myers is available to help 24/7. It is critical to get them on site immediately to help prevent secondary damages in your home. How to clean up fire in a home? If you have fire in your home, SERVPRO of Central Ft. Myers can help. Their team is available 24/7 to help, and can assist in any emergency board ups. If you have any questions, feel free to call anytime. What to do if a water line breaks? 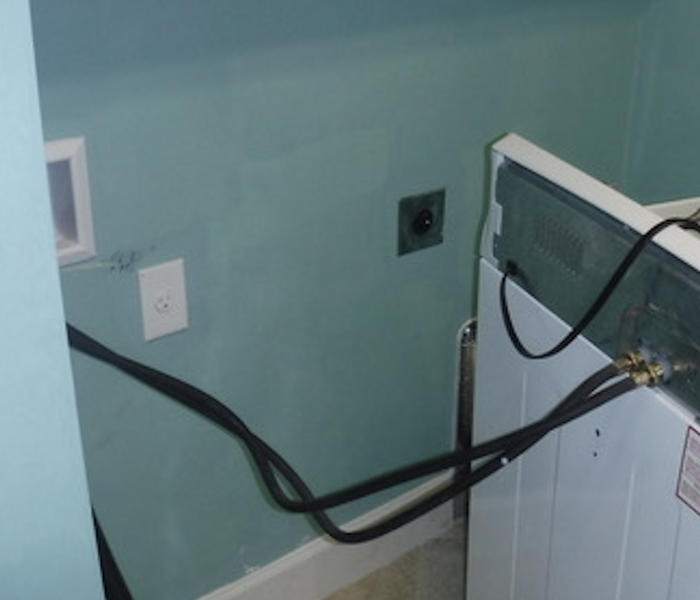 If you have a water line break in your laundry room, it is important to make sure the main water line is shut off immediately to determine where the water is coming from. Sometimes the line can be broken in the wall or right at the source. What is the best way to clean up water damage? If you have water damage, it is important to clean up the damages quickly. Once the water is cleaned up, it is important to get drying equipment in place to get the facility dried as quickly as possible. How to remove water from your home? If you have water in your home, it is important to remove the water as quickly as possible. Once the water is removed, the drying process can begin to get the home dry within a few days. If you have water damage in your home, SERVPRO of Central Ft. Myers can help. They will get teams in place immediately to begin extracting water and minimizing the damage. If you have any questions, feel free to reach out at anytime. If you have water in your home, contact SERVPRO of Central Ft. Myers immediately. Once on site they can begin to extract water and place drying equipment to get the facility dried. If you have any questions, feel free to reach out at anytime. What to do when you find mold? If you find mold in your business it is important to remediate it as soon as possible. SERVPRO of Central Ft. Myers can help from start to finish and make sure the job is handled correctly. If you have mold in your business, it is important to get SERVPRO OF Central Ft. Myers on site immediately. Once on site they can determine the proper course of action to get the situation remediated as soon as possible. 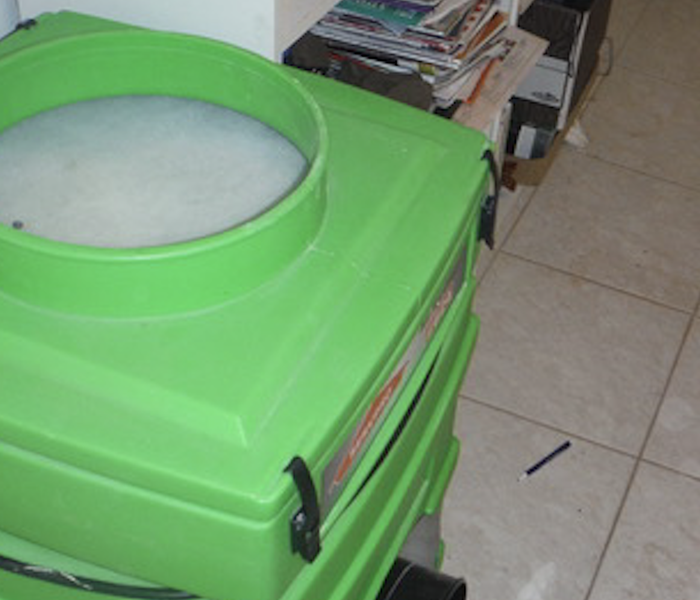 If you have mold in your home, it is important to use air scrubbers to help get the mold spore count down. If you have any questions about the mold remediation process, contact SERVPRO of Central Ft. Myers. How to remove mold in your home? If you find mold in your home, it is important to have SERVPRO of Central Ft. Myers remove it as quickly as possible. Once all of the mold is removed, the area can be cleaned and restored. Fire damage can be very extensive. First there is a lot of devastation of contents. 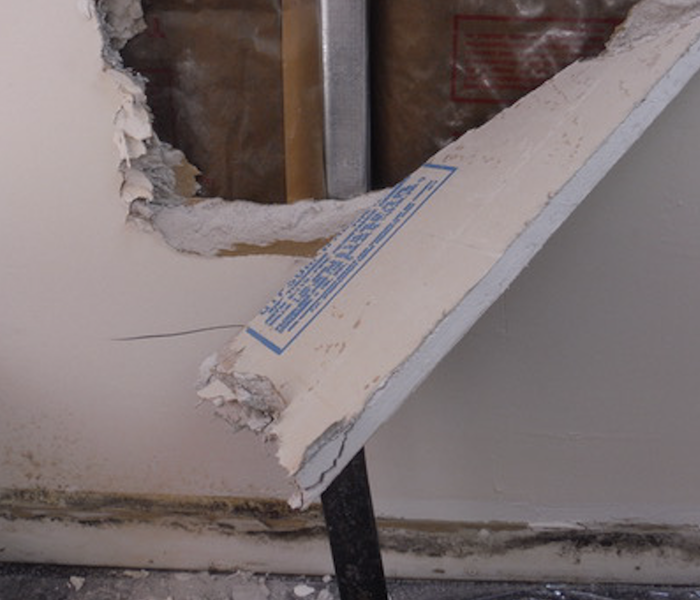 The second problem is the structural damage such as drywall and cabinets. Lastly there is the lingering smoke odor. All three of which we of SERVPRO of Central Ft. Myers can clean and restore. Let us be your first call after a fire. This is a recent job where SERVPRO of Central Ft. Myers responded to a water loss in a bathroom in Ft. Myers. Our team was quick to respond and extract standing water and get the proper equipment in place to start drying. SERVPRO of Central Ft. Myers responded to this fire loss in Ft. Myers. Our team was quick to respond and start removing the content that was salvageable. Our team worked hard to make sure everything was done correctly and efficiently. This is a mold job that our team responded to in Ft. Myers. We properly analyzed the situation and followed the recommendations of the environmental hygienist. If you have any questions on how to handle a mold situation, feel free to call our office at anytime. SERVPRO of Central Ft. Myers responded to this mold job in a home. 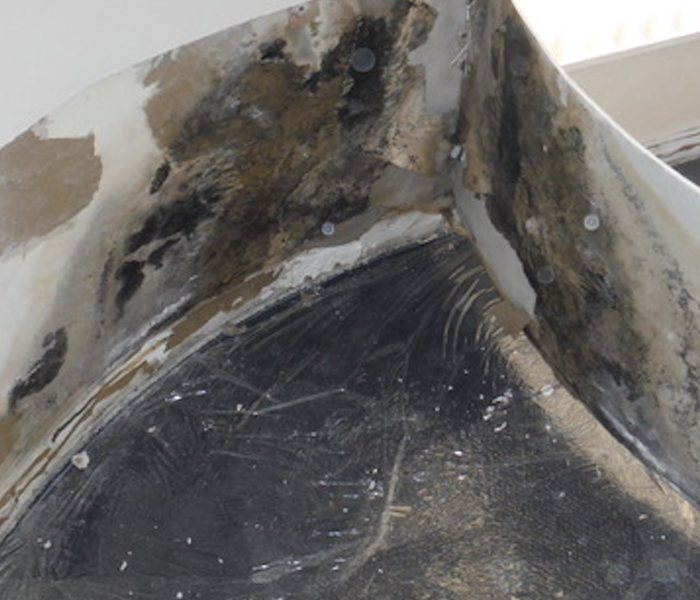 We had it tested by an Environmental Hygienist and followed the proper protocol to treat and mitigate damages.